Everybody probably knows that in the bigfoot biz, there are two camps that define the two seemingly separate views on the nature of the beast: 'Flesh and Blood' and 'Paranormal' (woo-woo). The 'woo' bit was concocted by a F&B advocate as a slightly dismissive put-down directed at the rival faction. Some say it was Daniel Perez, others attribute the term to Loren Coleman. Credit the paranormalists with more civility for not coining a similarly disdainful moniker for their intellectual rivals in the F&B camp (until now). 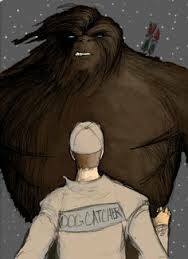 Interestingly, the distinction between flesh-and-blood and paranormal only exists within the sub-culture of sasquatch enthusiasts. In the minds of the general public, all of bigfootery is decidedly paranormal. In the public's view, the F&B crowd is every bit as 'woo' as the paranormalists. Therefore, I am sorry to break it to my friends in the F&B camp, but in the eyes of the world, you are "woo" too! member of a small band of local sasquatch researchers called Sasquatch Investigations of the Rockies (S.I.R.). 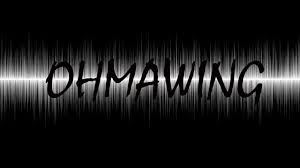 The film, 'Ohmawing' explores the 'zapping' phenomenon that has been experienced by many serious field researchers and close-range witnesses to the sasquatch phenomenon. To my knowledge, the term 'getting zapped' was first coined by New England researcher Chris Noel and his crew, but the phenomenon was known about before the term came into wider use. Previously, there was a time when claims of being 'zapped' were considered fanciful imaginings of deluded bigfoot-believers. Then, in 2003, a guy wrote about this thing called infrasound in a sasquatch book called The Locals. He explained that several members of the animal kingdom can emit ultra-low frequency sonic energy as a means of both communication and intimidation of enemies. At that point, the woo-too (flesh and blood) camp had a valid scientific principle to invoke. Acknowledgement of 'getting zapped' no longer rendered one as paranormal in orientation. Now, even our most scholarly sasquatch advocates such as Dr.s Bindernagel and Meldrum can dialogue on the 'zapping' phenomenon by framing it as a manifestation of infrasound. Regardless of which camp currently lays claim to a better understand of this 'zapping' phenomenon, it is wonderful to see Tony Lonbardo produce a documentary film that bridges the gap between the woos and the woo2's. 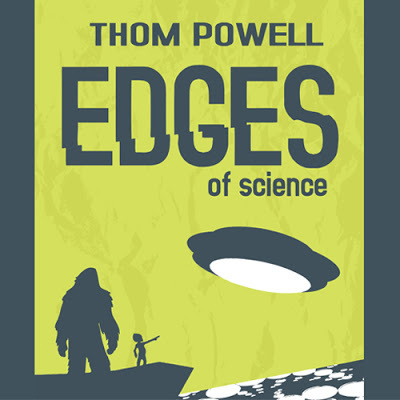 Tony chronicles both historical references among Native American tribes and the experiences of modern field researchers like Paul Graves. I was fortunate enough to view the entire twenty minute film. It is an expert, professional job of film making. Tony is currently trying to get 'Ohmawing' entered into film festivals and I would like to do everything in my power to assist him in that endeavor. If you would like to view a trailer of the film, click here. If you want to get in contact with Tony about getting the film screened or to buy a copy of the full length film, here is Tony's e-mail address:<tony@ohmawing.com> Great Job, Tony. It's and excellent short film. Trust that this 'woo' is rooting for you all the way! When they see it, I think your film will earn the endorsement of the woo-too's too.